Select the element type wisely! I think that for whatever reason solid elements are completely overused! This is especially true with elements made of thin walls where shell/plate elements are simply better. I think this comes with the fact that a lot of analysts associate solid (especially brick) mesh with “quality”. Unfortunately, this is not always the case, and in most of the thin plate models, 2D elements will give much better results, with much smaller node count (or DOF count if you prefer this metric). It is worth to remember that you will need several elements across thickness to capture things like bending. Usually, you don’t want to use bricks so small! I get the feeling that often people either ignore mesh refinement altogether or go absolutely crazy with it! The trick is to increase the number of elements where stress changes rapidly. 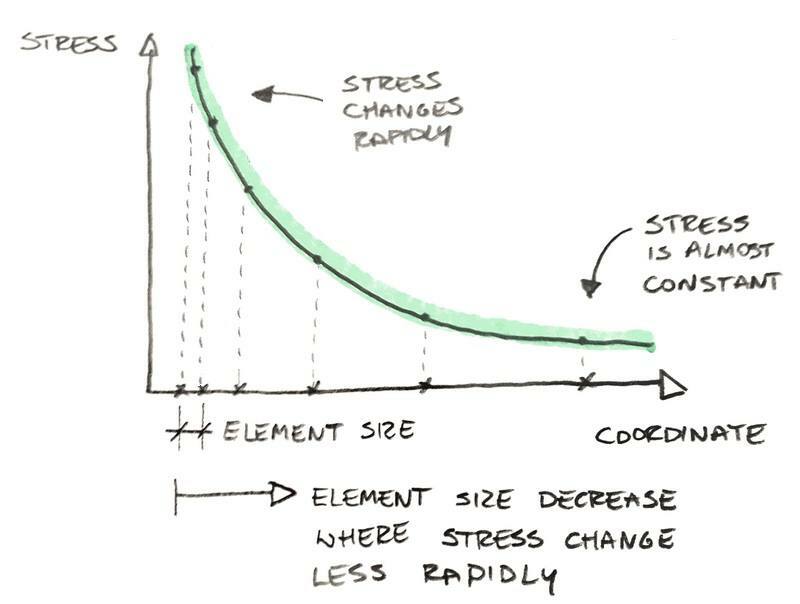 Where stress is more or less constant big elements are ok.
Of course, this is not the only metric, as a phenomenon like buckling can easily happen in constant stress zones and require “reasonable” mesh to catch them. If you are interested in mesh convergence you should definitely take my free FEA essentials course. When meshing, don’t forget to place nodes where you will need them later. Maybe you will like to apply a load or a boundary condition in the middle of the plate – it would be great to have a node there right? Usually, you will mesh a model based on a geometry. Just remember to make a geometric point where you want to make a support/load or two intersecting lines. This way with mesh generation node will be generated where it is needed! This is also a good time to mention that assigning boundary conditions and loads to geometry makes a lot of sense. If you will remesh the model later (i.e. for mesh refinement) you won’t have to redefine anything! Don’t be shy with point loads/supports! If you read an FEA book or attend an FEA course you have already heard this: don’t use point supports! You know the “point has zero area so stress is infinite” thing. While it makes certain sense the application of this principle is strictly limited. You see, there is this wonderful Saint-Venant’s Principle. It simply says that if you are “far enough” it doesn’t really matter how you apply loads or boundary conditions, as long as they are “statically the same”. In short, this means that if the load you apply to a point is the same as the resultant of area load, at a sufficient distance it doesn’t matter how you applied the load. Reducing model is not a sign of weakness! Before you even start meshing spend some time thinking if you really need all that junk in there. I don’t know how you roll, but it seems I try to be God-like with my oversized models! You know… make one model of everything, press calculate and get the answers for all the questions people will ever have. I’m constantly working on this, so if you have this problem too maybe we should work on it together? Usually, there are parts of the model that can be removed or changed for mass or simple beam element connecting stuff. 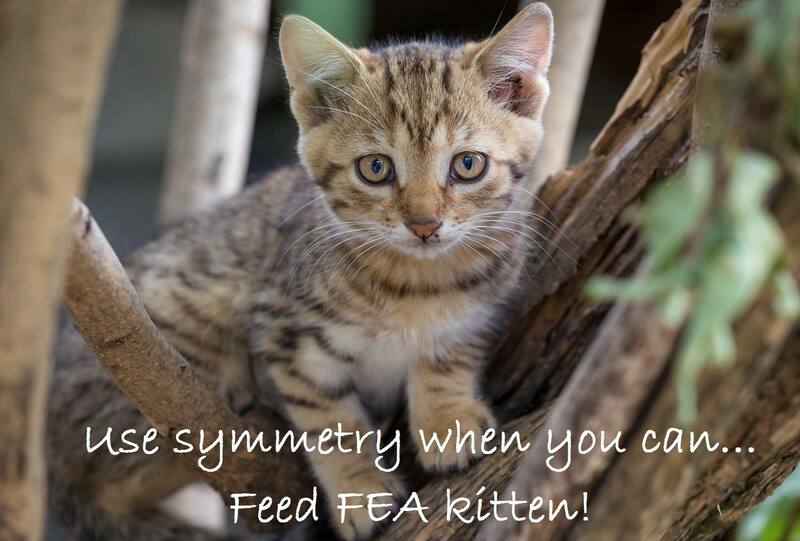 Not to mention that you should use symmetry when you can! Otherwise a small FEA kitten doesn’t get its biscuit. Just don’t overfeed the cat. Remember that if the model is symmetric it doesn’t mean that you can already use symmetry. The response of the model needs to be symmetric as well! Just be careful with buckling and vibration analysis! You’ve made it this is the end! Let me know in the comments below what do you think about such posts! If you have any questions ask away – I run a regular QnA posts here! If you like FEA, you can learn some useful things in my free FEA essentials course. I know the wait is frustrating – I’m waiting for a MONTH for the tech guys to add a payment gateway so I can actually sell the course. The material is ready and waiting all this time… but due to technical issues, I can’t sell it yet! Just to mention, the reason why shell elements are more accurate than solid elements in bending is, if I’m not wrong, the number of integration points in the normal direction. I mean, i.e. in Abaqus, shell elements have 5 integration points (by default, but you can add up to 12 I think). Therefore, you would need a least 5 solid elements through the thickness… that seems too many, if it’s thin. Hi Łukasz, In most of the cases shell elements are best suited for pressure vessel and piping related analysis. 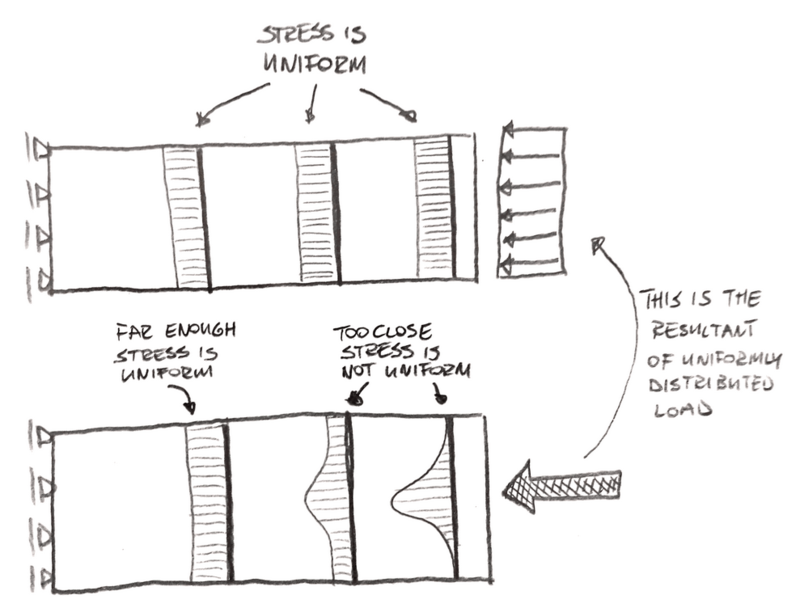 I have a difficulty in using shell elements for getting peak stresses as stress classification according to ASME Sec. VIII div 2 part 5. Sadly I use Eurocodes for design… I never saw the code you reference here… What sort of problems do you have? Maybe this is in the nature of the code check? If you use shell elements with ASME VIII division 2 part 5 and need the peak stress you must use fatigue stress reduction factors. As chapter 5.5.3.2 step 4 (a) states: “if the local notch or effect of the weld is not accounted for in the numerical model, then a fatigue strength reduction factor, Kf, shall be included”. The Kf values can be found in table 5.11 and 5.12. This might be a good subject for another one of your posts. 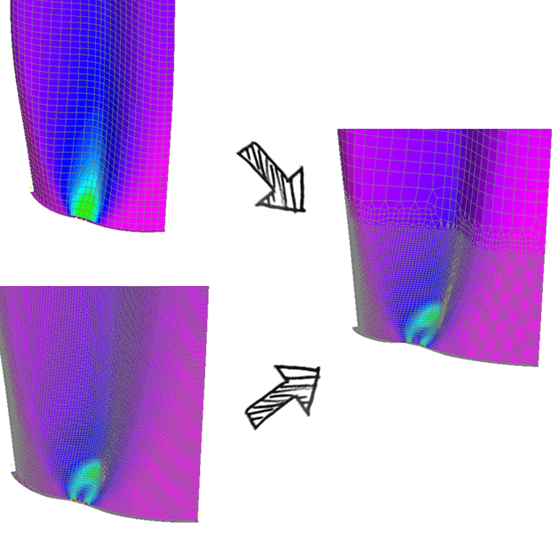 The use of solid-shell elements is an option that is available in ABAQUS and ANSYS and can give better results more efficiently in some cases. Hi good approach and solutions. Thx for sharing. Found this style very clear and enjoyable to read and digest – and not just the kitten. Keep it up.